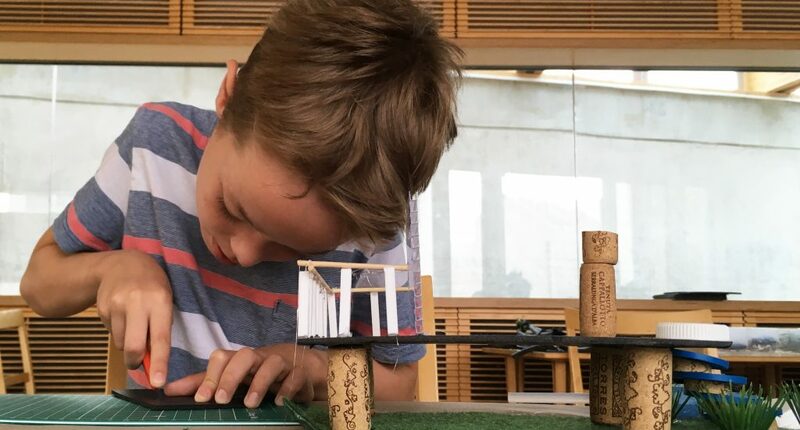 How do you introduce children to architecture and how do you involve them in local town planning? All About A were represented with two architecture workshops at this year’s MakeCity festival in Berlin for architecture and urban alternatives. Children, teens, families as well as students were invited by MakeCity and the Danish Embassy to bring forward their visions of their future Berlin, learning about local town planning when adding form to their ideas for green zones, public seating, activity zones, public play grounds etc. The day one workshop resulted in many unique architecture models in scale 1:50 after a process of studying photos for inspiration, making architectural decisions and selecting materials from the material buffet. In day two the icon dream of a treehouse was explored when the participants focused on Berlin’s many trees, with the theme; What does your future green Berlin look like, if we could use the tree tops? More than 30 children and adults took part in the afternoon workshop.